"Finally, songs that are really perfect to sign and sing to! ":— Barbara Granoff, "Sign2Me" presenter andco-creator of the award-winning Sign-A-Lot DVD series Signing along with songs is one of the most effective things you can do to encourage your baby to try new signs. It’s a fun way to introduce new concepts, and music is a great memory aid for language learning! 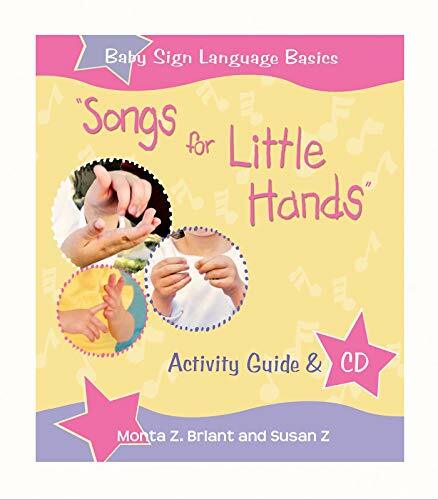 If your baby could talk, he or she would tell you that singing and signing go "hand in hand"!This activity guide and CD program brings you 14 original and traditional signing songs, perfect for the littlest signers, with clear illustrations. Music by award-winning singer/songwriter Susan Z takes you and your little one on a magical journey to a land of storytime, teddy bears, tea parties, and fun-filled daily routines. If you have any questions about this product by Hay House Inc., contact us by completing and submitting the form below. If you are looking for a specif part number, please include it with your message.